We are trying something new. 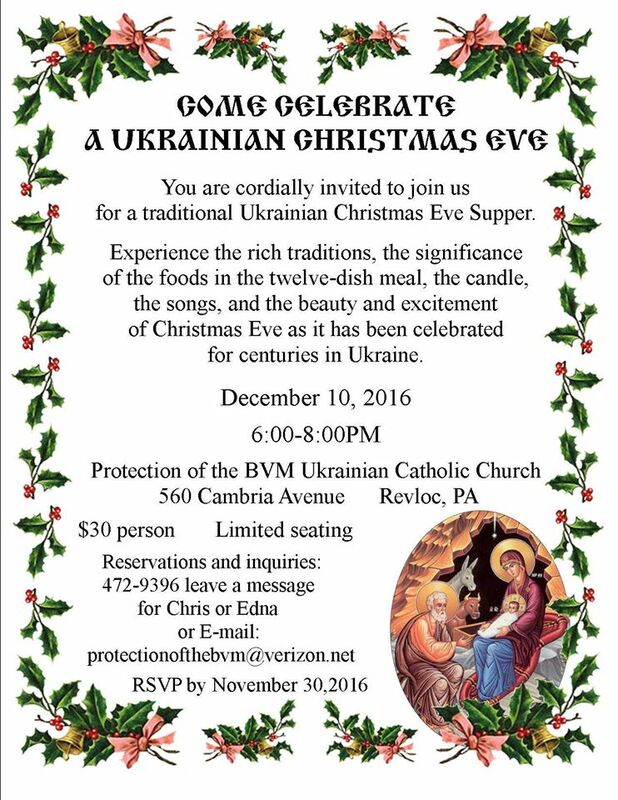 Here is the flyer for a Traditional Ukrainian Christmas Eve. We want to share our traditions with others. Many places have events like this. For example the Amish Wedding tour. The Bottle Works has this type of dinner every year and it sells out. Chad and Stephen do a wonderful job at the Bottle Works with their Holy Supper Dinner. We decided to try one here in central Cambria county. Please tell anyone that you think may be interested. The food is delicious. Come and see for yourself.